If you are using any cyber caf� or using a common computer shared by many then you may not like others to see the pages you have opened or pages stored in history of your web browser. First point is while logging in to any email account don't check the box saying remember me in this computer or remember my password. So your login information will not be saved as cookies in the computer. Second point is always using In Private browsing in a new window. 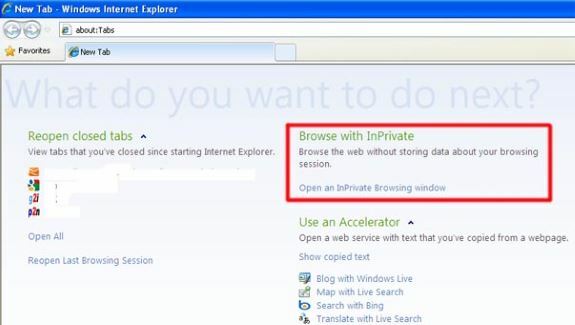 In IE 7 ( or higher ) , internet explorer 7 or higher you can use in private browsing window. Once this is opened then your browser will not store any data in the local computer. So no one can know about the history or sessions or pages you have browsed. Temporary internet files are also not stored. 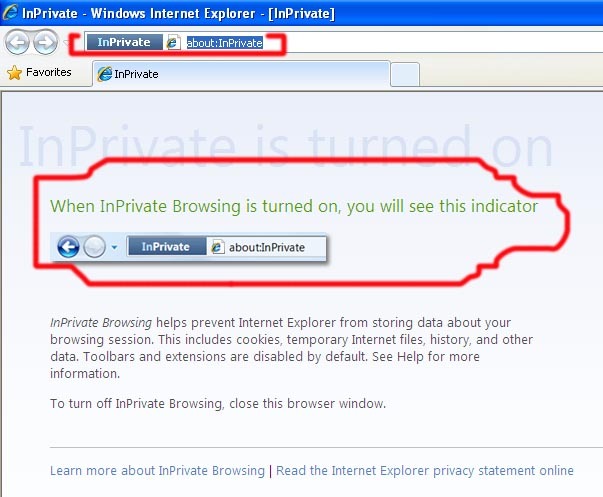 To open a new window for inPrivate browsing click the link saying In Private browsing. Before the address bar you will see one icon or message saying InPrivate. Now your data are not stored in local machine.